In a nutshell, Milpitas Xtreme Robotics is the official robotics club of Milpitas High. We provide the students of Milpitas High a chance to discover, create, or nurture a passion for what the Silicon Valley is famed for - technology. 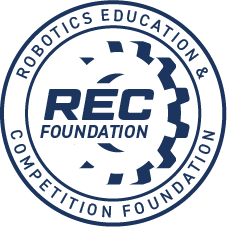 Like many robotics clubs, we aim to give students hands-on experiences in engineering, programming, finance, and leadership, as well as opportunities in STEM programs. MXR offer our members a chance to use the skills they learn in their classrooms on something more tangible. However, we also highly promote certain key concepts in our club; productive teamwork with fellow club members, innovation in engineering techniques used, and ingenuity in overcoming obstacles. Milpitas Xtreme Robotics encourages our members to get off their computers and out of their videos games, and instead take a shot at bringing to life our very own creations. However, Milpitas Xtreme Robotics is more than just a club on our campus, it is a team of people that work and bond together through a year of designing, building, and coding robots. We encourage each other to test the boundaries and to do more than what we originally thought we could. We celebrate one another’s successes and offer each other our support. Together, we do our best to create an open environment where we can all comfortably share ideas and be ourselves. MXR is not a perfect team, but we have made tremendous progress and are learning and growing together.